천 안 400k 브레벳은 45명의 라이더에게 대부분의 코스에서 강한 역풍과 옆바람, 야간에 매우 추운 온도와 라이드의 끝에 심각한 오르막길로 45명의 라이더에게 도전했습니다. 36명의 코리아 란도너스는 27시간 제한 시간 이내에 끝냈고 6명의 라이더가 제한 시간을 지나고서야 완주했습니다. 라이더는 천안아산 KTX역에서부터 서쪽으로 출발하였고 한 시간 이내에 산을 올라 첫 번째 컨트롤, 오래 전에 없어진 왕국의 중심인 백제에 도달했습니다. 그곳으로부터 란도너스는 남서쪽으로 향했고 금강을 따라 항구도시 군산에 이르렀습니다. 서쪽으로부터 불어온 40km/h을 넘는 바람은 비참했습니다. 새만금 방파제에서의 32km 라이드 구간은 하루 중 하이라이트였습니다. 그리고 방파제로부터 불어오는 강한 순풍은 라이더를 빠르게 밀어주었습니다. 코스의 가장 서쪽 지점인 곰소항에서, 라이더는 영하의 밤을 보낼 준비를 했습니다(팀 blasting headwind의 사진). 천안으로 가는 긴 도로는 하늘에 밝은 별이 있고 북쪽으로부터 끊임없이 바람이 불어오는 황량한 시골 도로를 통해 라이더를 북동쪽으로 이끌었습니다. 이순진 (Lee Soonjin) 은 400k 브레벳을 완주한 한국 최초의 여성이 되었습니다. 한국 란도너스는 그녀를 축하하며 600K와 1200K에서 그녀를 다시 보기를 기대하고 있습니다. The Cheonan 400K Brevet challenged 45 riders with strong headwinds and crosswinds for most of the ride, freezing temperatures during the night and serious climbs at the end of the ride GOOGLE MAP. Thirty-six Korea Randonneurs finished within the 27-hour time limit and six more riders finished outside the lime limit. Riders used the southern escape from the CheonanAsan KTX and within one hour had to climb mountain passes to reach the first control in Baekje land, the center of a long gone kingdom. 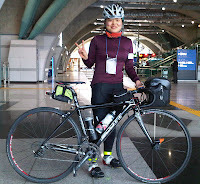 From there Randonneurs headed southwest and followed the Geum River (Geumgang) to reach the port city of Gunsan. 40+ km/h winds from the west made life miserable. The 32 km ride on the Saemangeum seawall was the highlight of the day and strong tailwinds on part of the seawall propelled riders to high speed. In Gomso Harbor, the most southern point of the ride) riders got ready for sub zero night (see picture of Team “blasting Headwind). 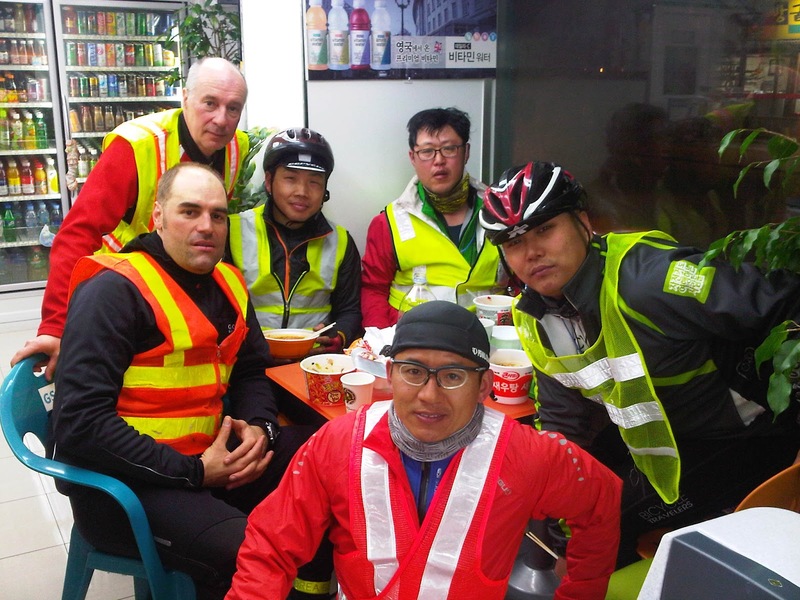 The long road home to Cheonan led riders to the northeast over deserted country roads with bright stars in the sky and a constantly nagging wind blowing from the north. 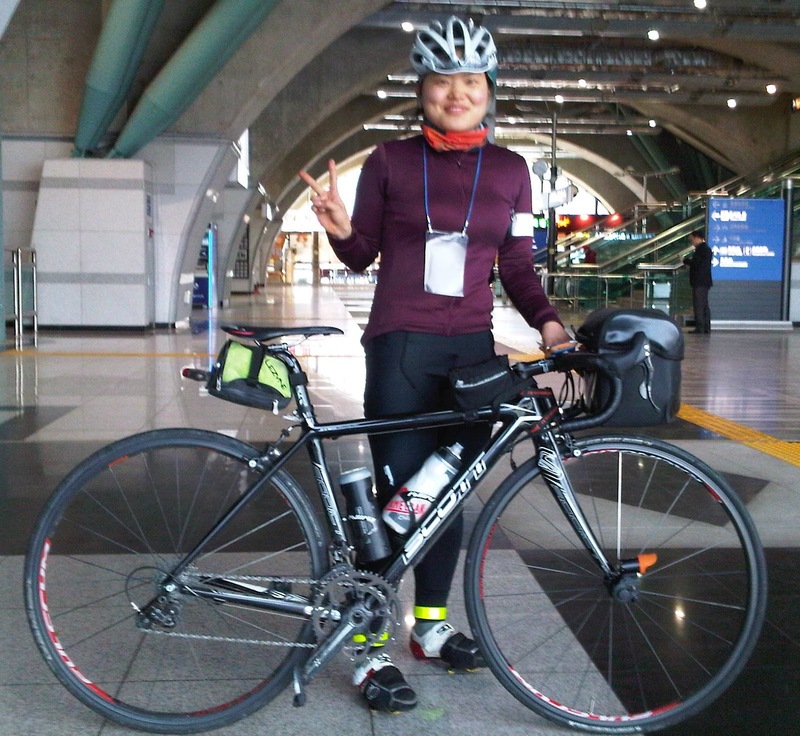 LEE Soon Jin (이순진) became the first Korean woman to finish a 400K Brevet – Korea Randonneurs congratulates her and is looking forward to see her again on the 600K and 1200K. Way to go Lee Soon Jin!